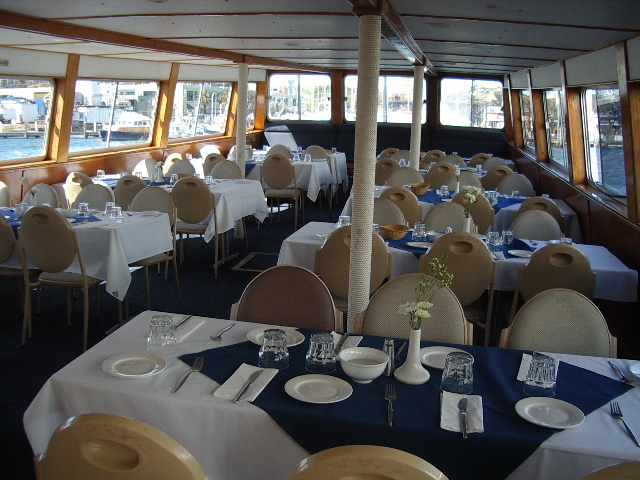 These classical 30metre cruisers feature 2 decks with 2 large dining areas and open rear deck. 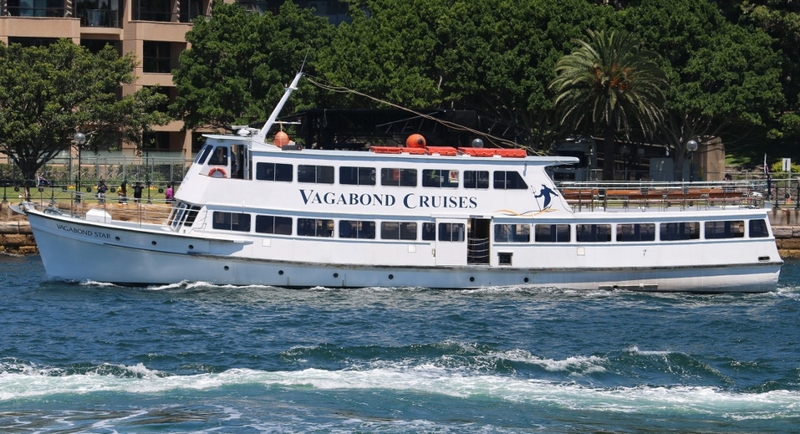 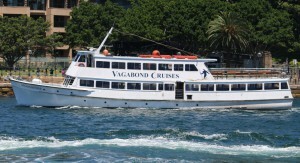 Vagabond Princess is equipped with its own Grande Piano and Vagabond Star is equipped with its own Karaoke System. 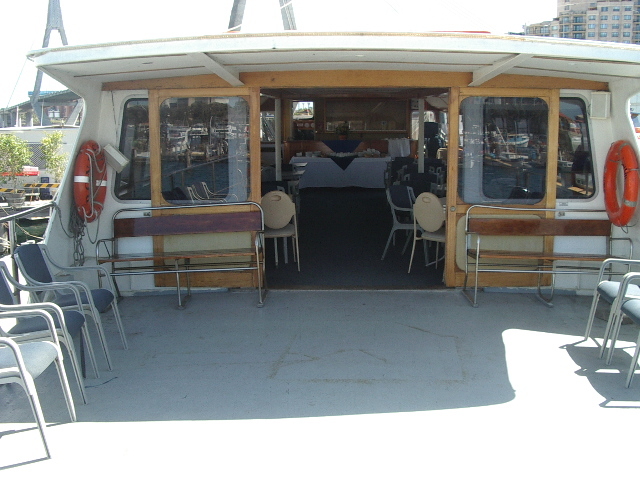 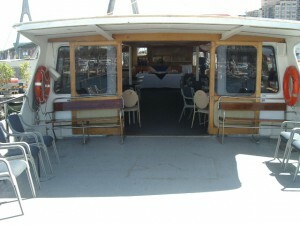 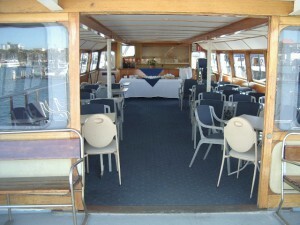 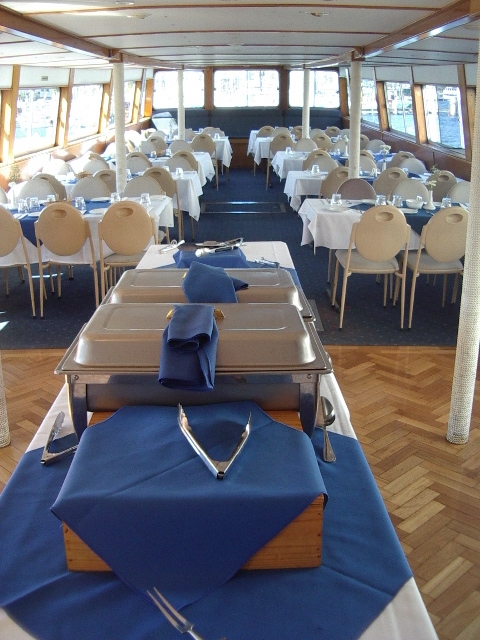 They have spacious carpeted interiors for your comfort and fully licensed bars on board with parquet dance floors. 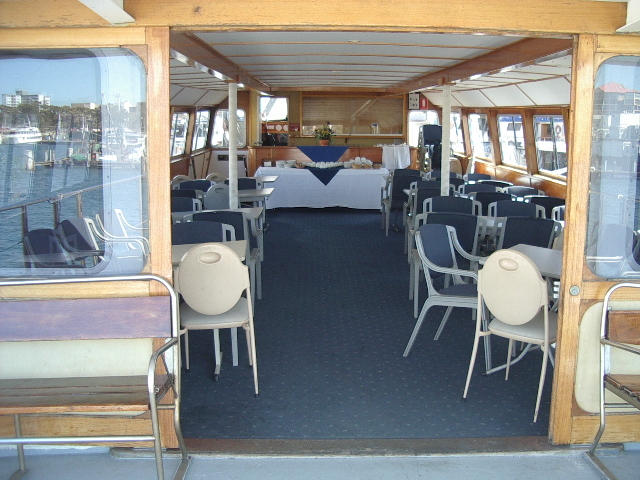 Enjoy exhilarating views from our open air viewing decks or remain indoors within the warm timber surroundings. Every table is by the window to guarantee Sydney’s beautiful backdrop perfect for photo enthusiasts! 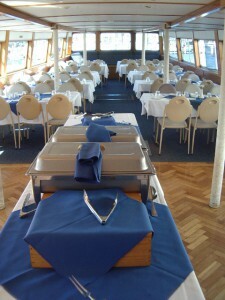 They are licenced for 30 (minimum) to 200 for transfers.